Clicking each question below will expand it. Clicking it again will close it. Clicking the next question will also close the previous question. Please leave us a comment below if you have a question to ask Caitlin! “How soon can I start making full-time income as a proofreader?” You should most definitely NOT expect to finish the intensive course and wake up with the full-time income the next day or even the next week. Building a business takes time. If you expect overnight success — or success of any kind without hard work and dedication — you’re going to be disappointed. 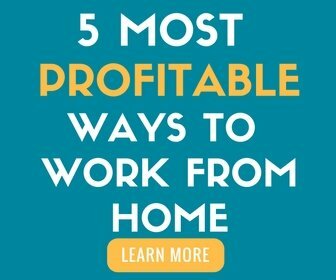 However, if you are willing to invest in using your brain and learning the necessary skills to build a business that will reward you for years to come, this may be a good fit for you. We don’t want to work with lazy people who give up when it gets tough. “If I read double what you read in a week, will I double my income?” Not likely. In fact, it’s not likely you’ll get to my income level immediately, either. You’re a beginner and learning to proofread transcripts is an art, so you need realistic expectations. You’re going to be slow at first, but you will get faster over time. Again, as I said in the FAQ above, if you expect to not have to work hard or if you expect overnight success, you’re going to be disappointed. “I saw someone on Facebook saying your course is a rip-off and that they feel sorry for the people who’ve taken it. This person hasn’t taken your course themselves, so what are they talking about? Is what they’re saying true?” The key there is they haven’t taken my course 🙂 If you Google us, you won’t find negative reviews. There’s a reason for that. Rumors and meanness get started by people who haven’t taken my course and are threatened by it and its success for some reason…or they’re just mean. New proofreaders coming out of my program are trained and trained well — they even know how to network and market effectively… perhaps this is what’s threatening to the people saying mean things on Facebook. One of the most vicious rumors is that I promise people six-figure income instantly. Obviously these people don’t know how to read. See our post 13 Myths About Proofread Anywhere…Busted for more insight. “Are there reporters who don’t use proofreaders?” There ARE reporters who choose not to use a proofreader. It’s not really to their benefit, though. I worked at a large firm in FL who required their reporters to not only use a proofreader, but they had to submit their contact info AND upload a PDF of their proofreader’s corrections with each job they turned in to the office. I now contract with an even bigger, nationwide firm, and they don’t require the same thing, but they contract proofreaders to do quality assurance, rotate their reporters through QA and assign reporters with bad work (which happens quite often, actually, because they don’t think they need proofreaders!!) to mandatory QA proofreading. Again, you’ll absolutely find people who never use proofreaders — but you’ll find many more who do use them. Many court reporters want to pay proofreaders because it’s a small price to pay (about 10% of their page rate) to not have to look at the same stuff over and over. 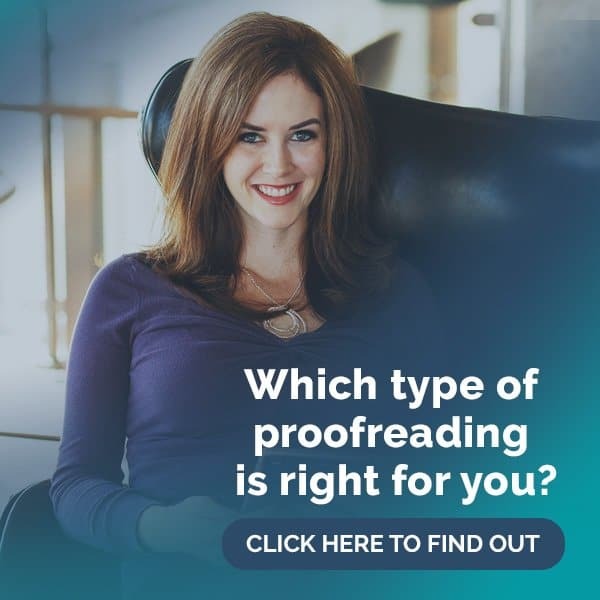 It saves them so much time and ensures they have better work to turn in than they would if they didn’t use a proofreader, which makes them look better to their agency. In turn, they will get more work and stay busier than reporters who aren’t willing to invest in a proofreader (and turn in sloppier work). “Can I find work after your 7-day course?” Maybe — but this 7-day course is not meant to be training of any kind (see the big yellow box on your Day 1 email). It’s an overview; a way to let people inside my world of proofreading to help you determine if it’s something you want to do further. Proofreading’s not a cakewalk; it takes much longer than seven email lessons to make you a polished professional — that’s why I’ve got the intensive course. “Do I need to be a speed reader or a fast reader to be successful in legal proofreading?” Speed reading is not needed and not recommended. Speed readers don’t read every single word — and you have to read every single word. It does take time to build up speed to read for long periods of time. There is a lot of reading in the course content and the practice transcripts. Taking your time to go through it is actually recommended over speeding through it, though — it gives you time to really understand and absorb the material. Those who speed through it tend to score lower on the final exam than those who take their time and really give it a chance to sink in. There is no rush. In fact, rushing can come back to bite you! “Do I need to be on social media to be successful?” No, but it’ll definitely add to your opportunities to learn and perhaps even find work — especially using LinkedIn. We also have an awesome Facebook group you will definitely want to be a part of. We’ve had several students who reluctantly joined Facebook just to be in our student group, and they’ve said it’s the best thing they could’ve done! You have options to create an alias account or just create an account where you’re completely unsearchable and use it just for the group. I wouldn’t miss it. Of course, it’s up to you — we do have the student forum as well, but it’s not nearly as active as the Facebook group. It’s a totally different vibe. “Do reporters work on the weekends? When does most of the work come in?” They don’t report the jobs, but many catch up on scoping the jobs over the weekend. I charge $.20 more per page on the weekends if they need it back ASAP for Monday 🙂 It helps to have a wide availability, but I know some proofreaders who just take care of stuff that comes in over the weekend when Monday hits. I like to work on things as I get them so they don’t pile up. Plus, it makes your Mondays so much more pleasant. Most of the work comes in around 4 PM and later, so nighttime would be a good time for proofreading. However, it all depends on the individual and the individual’s schedule and circumstances. “Do you have to correct grammar or sentence structure?” No. Because you’re proofreading spoken word, punctuation is much more critical than grammar. Check out this blog post for more on that! “How do I log in for the course?” The free course content is all sent via email. There is no need to log in unless you’re enrolled in my transcript proofreading course. To log in as an intensive course student, click the “Student Login” button on the top of any page of the site. If it says “Log Out”, it means you’re already logged in. “How fast can I expect to finish your course and start looking for clients?” Usually it takes about 2-4 months to fully go through the course, learn everything there is to learn and get comfortable with all of the material, but it all depends on the time you’re able to put in. It is very important not to rush, too. There’s no point in rushing through the material just to make money — it can and will backfire. There’s a LOT of little things to learn that, if you rush, you can miss them, have trouble passing the exams, and end up slowing yourself down even more. The fastest I’ve seen someone go through the material is one month. Most students do take a bit longer; some take a lot longer. It is a HUGE amount of material, and again, we recommend not rushing through just to get to the making money part. I always tell students you can get all the clients you want, but if you rush through without really absorbing the material, it’s to your detriment when you’re not as prepared as you should be upon obtaining clients and they’re not happy with your work. “How much time per day do you need to get the work completed?” That all depends on how much you can get done in your time frame. Some people read slower than others. The work can sometimes come in waves. Lots of it some days, not as much the next, and so on. You do have a good few days to actually do the work, so it isn’t a problem getting it done. It can get crazy when there is a lot at one time and you have to manage it, but that is what my transcript proofreading course is for, to help you learn to not only do the work and get work, but also to manage it. You take on only as much work as you want or that you can handle. I do have many students who successfully get the number of clients they want even with a full-time job and children at home. “How did you learn? Did you take other courses to help you figure it out, or did you just trial-and-error it?” I worked in a court reporting office, so I learned that way. Most people don’t have that opportunity. Still, it took me years to learn how to do it the way I do it now and to make real money doing it — and there was no user manual, so yes, there was still a lot of trial-and-error. I probably did lose clients over it, too. “Is it possible to work without taking your course?” While I can’t say it’s impossible to learn on your own, it is much harder that way. I compare it to walking in the woods at night without a flashlight vs. walking in a beautiful forest with a map. My intensive course is the only course that exists that includes everything necessary to succeed at proofreading transcripts. There was a real need. It’s a real way to earn money, but there was no way to get into it without some serious trial and error or finding someone else to teach you — and even then you have no idea if they can cover it all, since teaching you to proofread isn’t their usual job. So neither of these ways are recommended. Going in without training can cost you clients if you don’t know exactly what you’re doing. 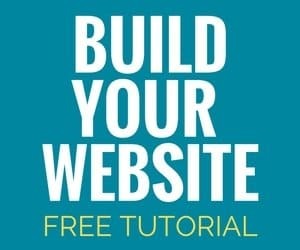 We’ve designed the course to get you from complete newbie to polished professional in 2-4 months. It’s absolutely to your advantage to use that opportunity. “Is this really something I can do without having an English degree or any legal background? When I go to market myself, will the fact that I took your course be enough?” By taking the intensive course, you are already at least a 100 times more “official” than someone who just “wings it” 🙂 By the end, you will have proofread over 3,000 pages of real transcripts — many more than someone who just takes just the free course, for sure, and way more than someone who tries to target court reporters on their own (and fails because they literally have no idea what they’re doing). A lot of things can go wrong with transcripts outside of the everyday errors, so it’s highly recommended to go through training first before jumping in. I can’t stop the people who jump in anyway, but I can make sure my students do a better job and are there waiting when the untrained people screw up 🙂 Even if untrained people can still “get clients,” my students are much more likely to keep them for the long haul because they took the time to invest in building their skills. Untrained people can’t hide their lack of competence in this craft forever. “What if I have no court reporters near me?” I call my website Proofread “Anywhere” for a reason 🙂 — you can be anywhere, AND your clients can be anywhere. You can work with any court reporters who are willing to pay you. Because you only need an iPad, proofreading can be done from anywhere in the world. “What style guide do you have to use as a proofreader for court reporters?” It varies! There is no hard-and-fast rule or guide that everyone follows. For some, AP Stylebook is kind of the default; others use Margie Wakeman Wells’ textbooks or even the older Morson’s English Guide for Court Reporters. It’s important to note that reporters really do have their own preference, and even the NCRA (National Court Reporters Association) allows for certain punctuation rules to be completely ignored when readability is not inhibited by ignoring the rule.